Toro is celebrating a landmark 100 years’ anniversary in 2014. 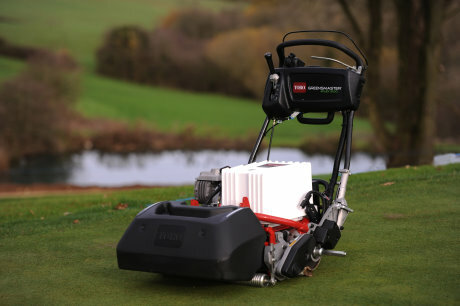 The first company to launch a motorised mower for use on the golf course – as well as a host of technologically-advanced groundscare mowing products for councils, contractors and landscapers – Toro says that its commitment to innovation has been at the heart of its success, and given it the market leadership it enjoys today. Since 1914, Toro says it has built its legacy by understanding the needs of its customers and developing products and services to help them succeed. Added to this, the company attributes greater competitive advantage to its pioneering of the development of strong networks of professional distributor, dealer and retail partners across more than 90 countries to provide local expert, professional customer service. Here in the UK this is delivered by Lely, a Toro distributor for more than 30 years, and Lely’s national network of local, approved Toro dealers and service centres. Toro is inviting users and all those connected with its products to visit www.toro.com/100 to learn more about other Toro industry firsts and contribute their own Toro stories. 1914: The Toro Motor Company is founded on July 10 to build engines for The Bull Tractor Company. Its first plant is located in St. Paul, Minneapolis. 1918: Toro introduces its first product built specifically for golf, a power fairway roller based on a Bull tractor frame. 1919: Toro is approached by Minikahda Club in Minneapolis to create motorised fairway mower to replace horse-drawn equipment. Mounting five lawn mowers on the front of a farm tractor, Toro creates the motorised golf course equipment industry. 1923: Toro introduces Sea Serpent fairway sprinkler system, making it only company to offer full line of both turf and irrigation equipment. 1928: Toro unveils industry’s first all-electric-powered walk greensmower. 1966: Toro introduces Valve-In-Head Sprinkler, combining both valve and sprinkler head as one, saving customers money and reducing installation and maintenance time. 1972: Toro introduces its first all-hydraulic greensmower, the Greensmaster 3. 1989: the revolutionary HydroJect 3000 is the only cultivation tool to deeply aerate compacted soils using high velocity water without impacting the turf’s surface. 2008: Toro introduces the all-new Groundsmaster 5900 Series rotary mower, which mows an acre in less than five minutes. 2010: Toro’s eFlex is the industry’s first lithium ion battery-powered walk greensmower. 1924: Toro introduces its first power mower, the 30inPark Special walk-behind reel mower, the most successful early, large, commercial-grade walk mower. 1928: Toro introduces the Silver Flash push reel mower, billed as ‘America’s finest hand lawn mower’. It would become a mainstay with golf clubs, cities and parks for many years. 1930: At the request of The University of Minnesota, Toro builds a power roller for its tennis courts. The Toro Power Roller proved a highly successful product for over three decades, serving thousands of schools, golf courses, professional sports venues, private and municipal street maintenance crews. 1940: Toro introduces the 76in Professional, ‘the power mower with wings’, which revolutionised commercial mowing. 1973: Toro introduces a new concept in commercial rotary mowing equipment – the all-hydraulic Groundsmaster 72. 2008: Toro launches the all-new Toro Groundsmaster 5900 Series rotary mower, which mows an acre in less than five minutes. 2010: Toro pioneers an all-new mower category with the introduction of the Groundsmaster 360 rotary mower with Quad-Steer all-wheel steering.